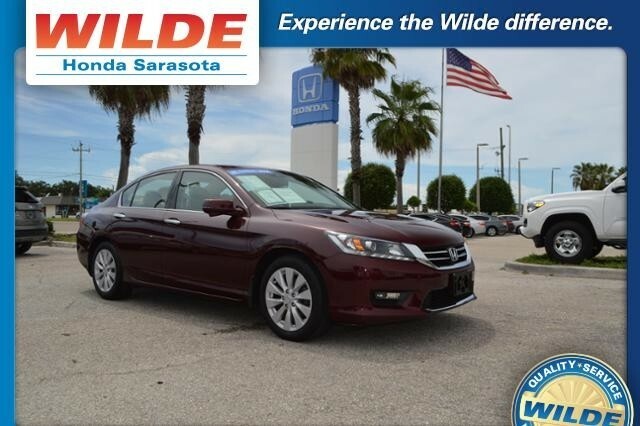 This Certified Pre-Owned 2014 Honda Accord EX-L is Honda Certified, CARFAX 1-Owner, ONLY 17,233 Miles! WAS $20,677, PRICED TO MOVE $2,900 below Kelley Blue Book! Moonroof, Heated Leather Seats, Satellite Radio, Aluminum Wheels, Back-Up Camera, Serviced here, Non-Smoker vehicle READ MORE! Was $20,677. This Accord is priced $2,900 below Kelley Blue Book. Leather Seats, Sunroof, Heated Driver Seat, Back-Up Camera, Satellite Radio. MP3 Player, Remote Trunk Release, Keyless Entry, Steering Wheel Controls. Honda EX-L with Basque Red Pearl II exterior and Ivory interior features a V6 Cylinder Engine with 278 HP at 6200 RPM*. Serviced here, Non-Smoker vehicle. 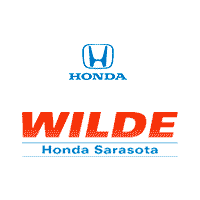 Edmunds.com’s review says The 2014 Honda Accord earns top honors in the midsize sedan class with its mix of excellent packaging, superb fuel economy and rewarding performance..
Pricing analysis performed on 8/24/2017 for this Certified Pre-Owned 2014 Honda Accord EX-L. Horsepower calculations based on trim engine configuration. Please confirm the accuracy of the included equipment by calling us prior to purchase.